AUTOMOTIVE: Chrome Bumpers, Mag Wheels, Rear Vision Mirrors, Chrome Trims, Aluminium Wheels, etc. HOUSEHOLD: Table Cookware, Cutlery, Sinks, Taps, Clothes Irons, Baths, Window frames, Bicycles. INDUSTRIAL: Fibreglass Spa Tubs, Fibreglass Outdoor Furnishings, Fibreglass Boats, Stainless Steel, Industrial Kitchens. 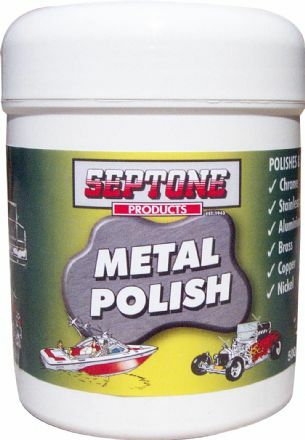 NOTE: Metal Polish is not recommended for use on fine gold and silver due to the harshness of the abrasive. 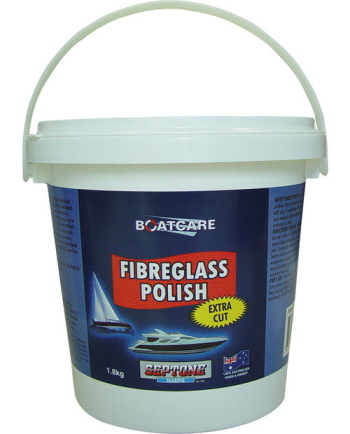 Fibreglass Polish Extra Cut is formulated to produce a high gloss finish on old or weathered fibreglass gelcoated or painted surfaces which require rejuvenation of the dull finish, and may be hand or machine finished. 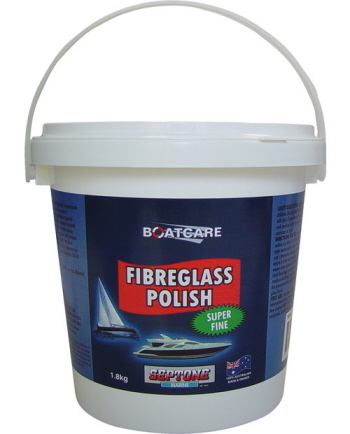 Fibreglass Restorer & Wax is designed to polish all types of marine gelcoat and paintwork in new or reasonable condition, leaving a rich, deep, wet-look gloss after application. Magic Shine protects, revives and beautifies leather, vinyl, rubber and plastics by producing a deep wet-look long life gloss that restores the natural shine, feel and colour of the original material. Magic Shine contains a high level of silicone polymers which penetrate deeply into the surface to produce a long life finish with low dirt pick-up, excellent resistance to water and to washing and outstanding overall protection from the sun and the effects of the elements. In automotive applications, use Magic Shine to protect tyres, rubber and plastic bumpers and trims, rubber mudflaps, vinyl and leather upholstery, dashboards and surrounds, door panels, sun louvres, plastic grilles, mirror backs, floor mats and vinyl roofs. Around the home or office, Magic Shine may be applied to leather or vinyl chairs, wooden furniture, handbags, golf bags, luggage and laminated surfaces. Boating applications for Magic Shine include vinyl and leather upholstery, vinyl rooftops and canopies, dashboards and polished wooden and laminated surfaces.